As you may have read in Sigma Update, Sigma Headquarters was recently informed of fraudulent emails targeting Sigma chapters and chapter leaders. The perpetrators were sophisticated enough to reference Sigma board members in their messages. 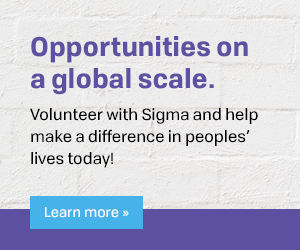 This development is troubling, and Sigma is taking it very seriously. We want you to know these scam messages are blatant, fraudulent efforts intended to steal your money. Please consult our handy Sigma Spot the Scams resource to help you protect yourself from and identify suspected scam messages. Because the volume of scams seems to be on the increase, we ask you to remain vigilant.